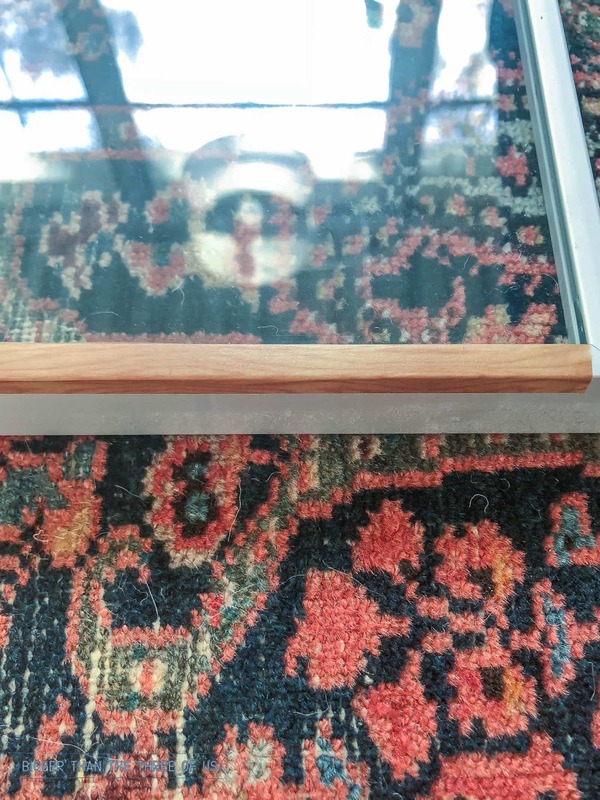 I’m smitten with my DIY wood picture frame hack. 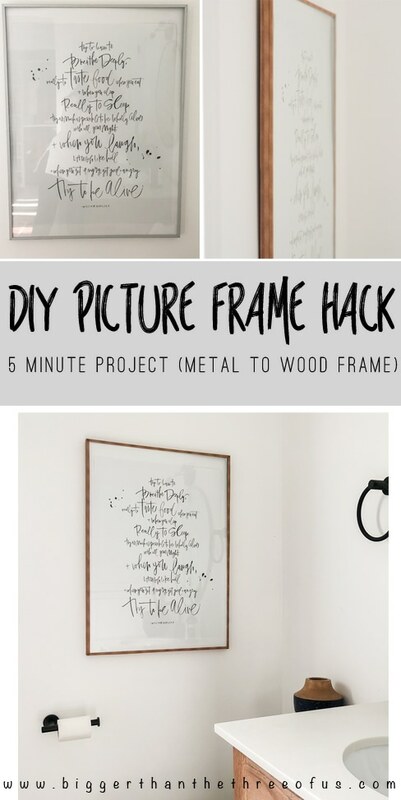 Learn how to use wood grain tape or brown washi tape to transform a metal poster frame in just under five minutes! I haven’t been overly inspired lately with DIY projects. Most of our projects are quite large and sometimes, with larger projects, they just drag on and on. But, last week, I had a few minutes and wanted to do a DIY project that would have an instant impact. 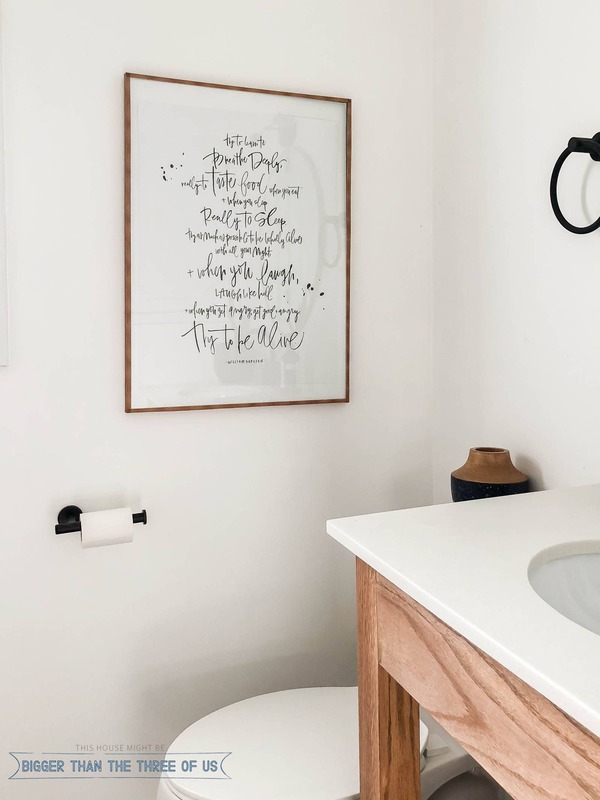 We’ve been slowly finishing up our master bathroom (well, until a full renovation happens) and I realized that the metal poster frame that I had in the space just wasn’t working for me. I picked up some wood grain tape and was able to transform my metal poster frame to a wood grain poster frame in just a few minutes. Before we jump right into this tutorial, what do you think of the sneak peek of our bathroom vanity? Gorgeous, right?! I can’t wait to share with you guys! I ordered a Persian Bath Mat (actually two), and hope that I like them! Ok, so let’s get to the washi tape idea! I have to be completely honest and let you know that I was totally inspired by Tiina (@llaayyeerrss) on Instagram! She’s one to follow, if you aren’t already! But, basically, she transformed her gallery wall using washi tape on picture frames. I took her washi tape idea and found some wood grain tape and was able to transform my poster frame with it! 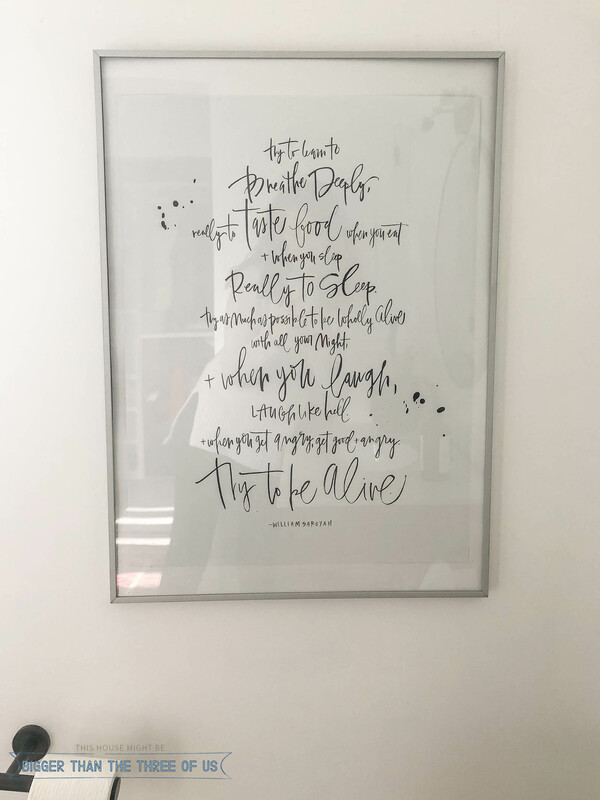 Ready for the DIY Poster Frame tutorial? Grab a picture frame or poster frame. The thinner the frame, the better. Apply the tape along the bottom of the frame, using your finger to smooth and push down over the sides. Repeat, along the front of the frame (you can overlap the washi tape). On the side of the frame, repeat step three. The wood grain tape comes in a few different colors. 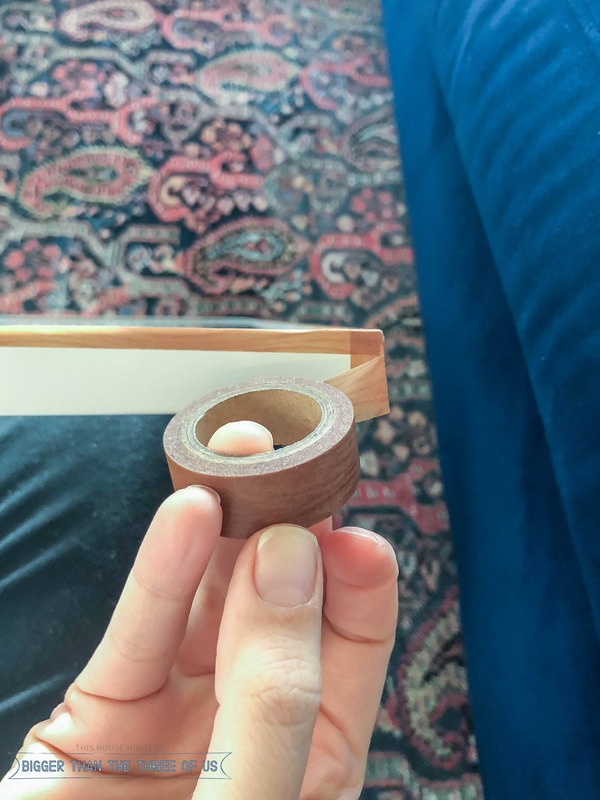 I wanted a warm wood look, so I went with a medium tone brown washi tape. This project was so easy and, guys, I’m not a perfectionist! It seriously took me five minutes to do and I couldn’t be happier with the new faux wood frame! It warms up the wall and just adds a bit of interest to an otherwise kinda boring wall. All you need is a frame and the tape. Easy peasy! 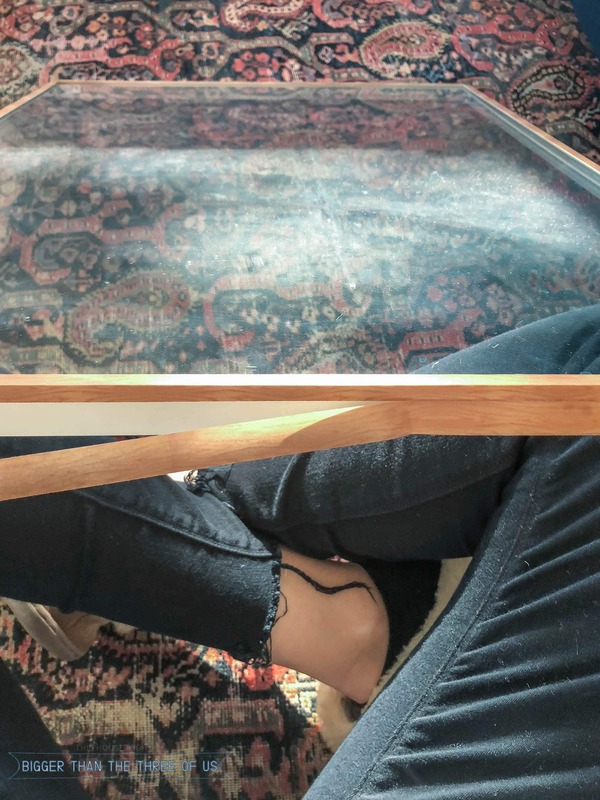 I needed a good, easy DIY project and this one definitely fit the bill. 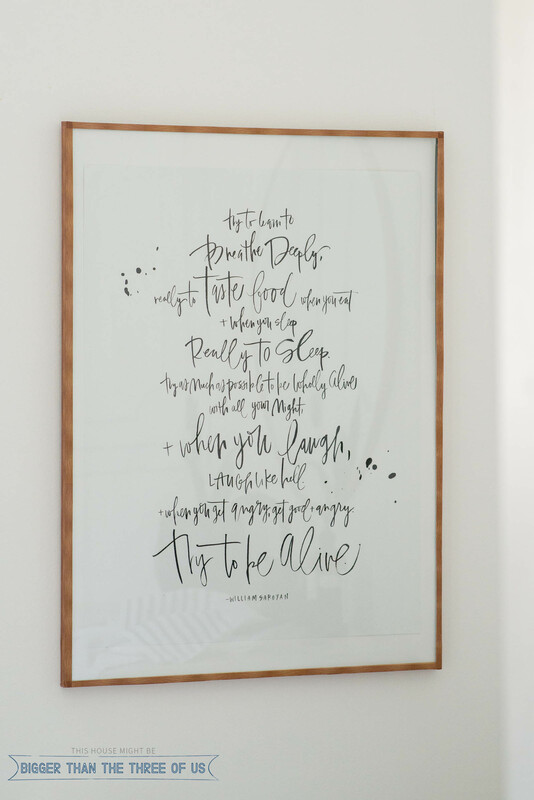 If you loved this project, then you should definitely take a look at this DIY Brushstroke Art that my friend Erin did. 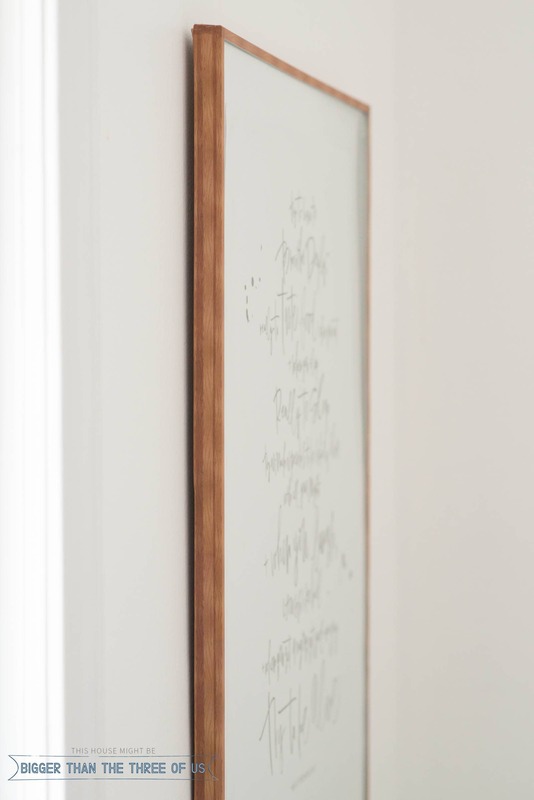 It’s another repurposed project that you can really do on any type of framed piece.